Foundation and concealer work together to cover up pimples. Seeing pimples sprout up on your face before a big event can be enough to send you into a panic. Your first instinct may be to squeeze your pimples until the darn things go away, but that’s the worst thing you can do. Instead, it's best to let a pimple run its course and use some expertly applied makeup to cover it up in the process. Although you may not be able to hide blemishes completely, a combination of a heavy concealer and a medium-to-thick coverage foundation can conceal them quite well. Don't settle for one product or the other; use both together for the most effective result. For the best coverage, Pati Dubroff, a celebrity makeup artist, recommends choosing a thick concealer that feels tacky. Thick concealers generally come in a pot or tube form. 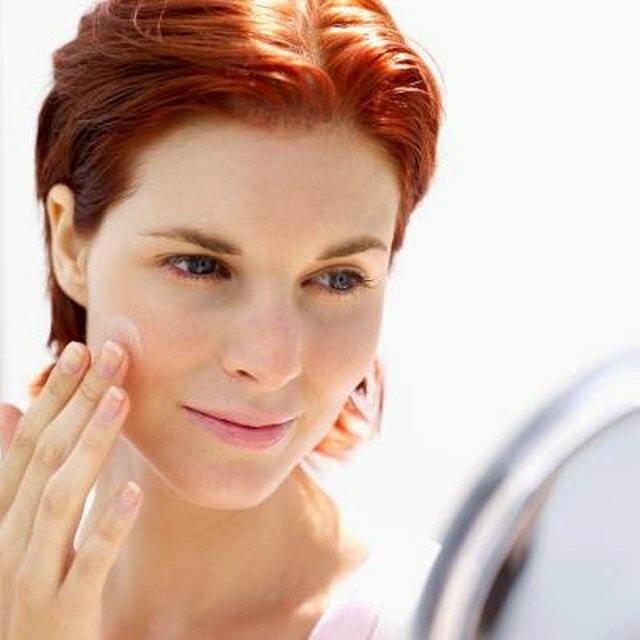 Use a dense-bristle brush and press the concealer into your pimple until it's covered. Use your ring finger to soften the edges of the concealer around the pimple, making sure that it’s blended into the skin. Apply foundation over your entire face, coming right up to the edges of your concealed pimples. Blend the foundation with a sponge or beauty blender so there are no harsh lines. Set the concealer in place by dabbing a small amount of face powder -- in a shade that matches your face -- to the top of the concealed area. Boyers, Lindsay. "Do You Use Foundation or Concealer to Cover Up Pimples?" 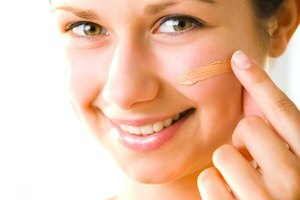 Synonym, https://classroom.synonym.com/use-foundation-concealer-cover-up-pimples-14515.html. Accessed 23 April 2019.